The heat treatment furnace at General Atomics can accept one central solenoid module at a time. During a month-long process, heat treatment reacts niobium and tin to form the superconducting alloy Nb3Sn. Heat treatment is the fabrication step during which the niobium and tin are reacted together to form the superconducting Nb3Sn alloy. The furnace—which is 12 metres tall when opened, with a diameter of 5.5 metres—holds one module at a time. Temperatures are increased very progressively, maintained, then decreased progressively in a process that maintains the uniform "cooking" of the module. "The heat treatment is what ultimately creates the solenoid's superconducting material, and completion of this process demonstrates that we are continuing to make good, consistent progress on this project," said John Smith, program manager for General Atomics. The central solenoid magnet is formed from six individual coil modules stacked vertically within a "cage" of supporting structures. At a facility in Poway, California, the US contractor General Atomics is currently overseeing fabrication activity at several points along its manufacturing line. 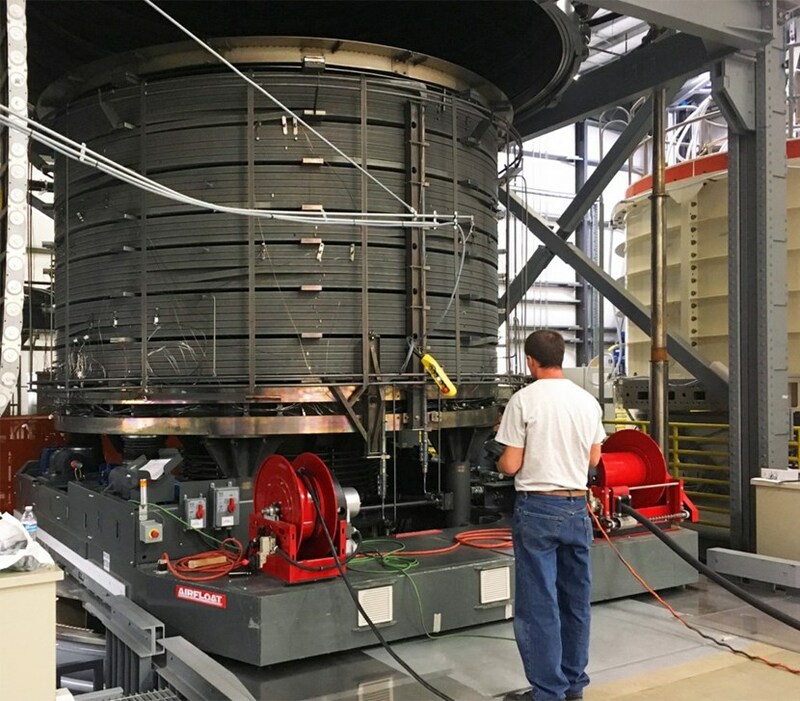 While the first production module passes from the heat treatment station to the turn insulation station, teams are already joining the conductor sections of the second module. Finally the qualification coil—used to validate all processes and tooling in advance of series production—has entered the final test station. See the full press release from General Atomics.